For those who have followed The Good Wardrobe over the past year, you’ll probably know that I crowdfunded last summer to enable me to expand the website’s ‘long-life style’ directory to cover Bristol, the city I now call home. 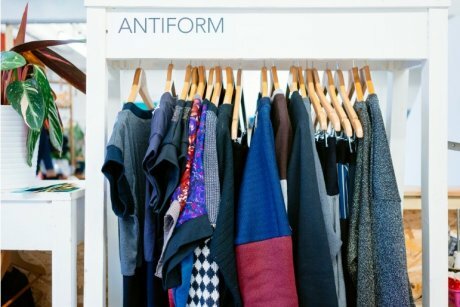 The Good Wardrobe Bristol now includes hundreds of Bristol brands, makers, menders, shops and skill sharers that focus on style with a conscience. The directory is carefully curated so I only include listings for businesses and services that I have used, would consider using or that I would recommend to friends. As well as featuring bricks and mortar conscious fashion shops I’ve also focused on local brands who retail online (like Tamay & Me featured above and Antiform, below) so if you want to support local producers, suppliers, makers and independent conscious fashion brands then have a look at the directory of Bristol online retailers. When it comes to services, the directory features everything from sewing machine repairs and sewing classes to cobblers, alterations experts and environmentally aware garment cleaning services. There is still work to be done to improve the directory including more organising and editing and a website upgrade later in the year which will make it more mobile responsive and more user-friendly. We will also be adding a map so that all of the Bristol listings can be viewed by area. I hope this will help to make certain areas of the city more of a destination for conscious fashion and make it easier for you to see where your local shops and services are. Over the coming months there will also be additions to the directory as and when I learn about other brilliant projects, shops and services in the city. If you know of a brand, service or organisations that you think should be included then please do let me know. I had planned to launch earlier in the summer but it has been a little delayed due to a few pregnancy related health hiccups I’ve had. However I’ve been working hard to get it live ahead of my maternity leave which should be starting…well…last week! Growing a baby at the same time as expanding a website certainly has its challenges. The Good Wardrobe crowdfund was supported by Better Bristol, an initiative between Bristol Green Capital Partnership and Crowdfunder. Main image: Embriodered Jacket by Bristol based independent brand Tamay & Me.